At Fulton Hogan we work hard to be the best, we give it our all and take pride in what we do. We know we're only as good as our people, so we're committed to hiring, developing and retaining only the best in business! 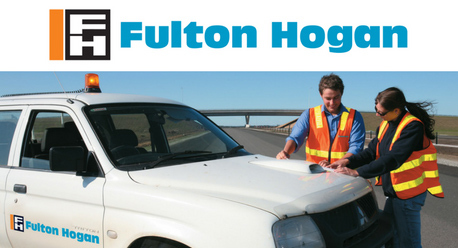 Fulton Hogan is a major civil contracting company offering clients services in civil contracting, construction, infrastructure maintenance, quarrying and asphalt production and surfacing. The primary function of this position is to promote and support the safety culture of Fulton Hogan's Eastern Region Infrastructure Services business. Your role will see you assist in the development and management of systems and processes on site to achieve an effective safety attitude and working environment, whilst also ensuring company procedures are implemented and monitored at the site level. Prepare and enact safety communications including articles, meetings, toolboxes and presentations both internally and externally. Complete test & tagging as required - Training to be provided. Willingness and ability to travel across various NSW locations – this role requires flexibility to at times work away from home (5-8 nights per calendar month). An opportunity to join a multinational civil contractor that genuinely cares for its people. You're not just a number! At Fulton Hogan we are committed to our REAL values of Respect, Energy and Effort, Attitude and Leadership and these define how we approach our work. We are seeking to employ and foster the development of employees who share our commitment to these values. If you feel this position is a good fit for your skills, experience and values, please apply now.